With the rise in popularity of hunters and fishermen filming their hunts and expeditions comes a lot of new technology. From camera arms with multi-thousand dollar cameras, to Go Pro strapped hats and chest devices, video cameras are finding their way into the woods from every direction. The problem with all of these devices is that none offers a first person view, that is simple to use and can be done when hunting solo. In steps the Tactacam. The Tactacam is a bow stabilizer video camera that also comes with a gun mount and can be attached to any shotgun, rifle and bow. It comes in six different camo colors including both of Mathew’s Lost Camo series. The 12 megapixel camera is excellent in low light and will not be a nuisance when you need to make a kill shot. All you need to do to start the record process is to push a button. Power on, and record. It is that simple. No more toggle switches, no holding down to start, just push and you’re done. 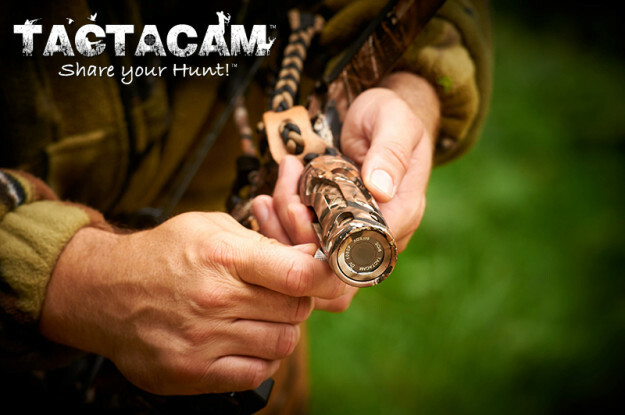 You can mount the Tactacam to any shotgun or rifle to get first hand footage of your hunt. Another beautiful thing about the Tactacam is that it gives viewers a first hand view of the target. The camera will mount below the gun barrel or act as a stabilizer and will show the viewers what you’re seeing at the time of the kill. The camera has been tested in up to 50 caliber rifles and will not be damaged due to recoil. The battery is a rechargeable Lithium battery and lasts up to two hours. it records in True Full HD with 1080 30 frames per second of 720 at 60 frames per second. The Tactacam can take up to a 32 gig SD card to hold all of your sessions and gives viewers a lifelike view since the lens is not a fisheye. This means that the 20 yard shot looks like 20 yards, not 100. One of the best things about this is that every camera includes a 6 months, no questions asked warranty. 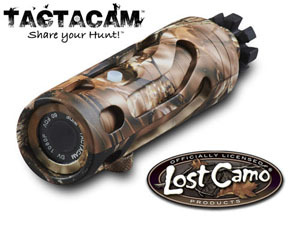 We’d love to check out a Tactacam for ourselves, but haven’t had the chance to review them yet. When we do, we’ll be sure to let you know our thoughts on it. In the meantime, this looks like an awesome toy and for only $200, you can’t go wrong with recording a few hunts. Has anyone else tried out the Tactacam yet? You can get yours on their website here. Check out this video of the Tactacam in action on a Dove Hunt.